We Are The No.1 Maid Agency In Malaysia Providing Exceptional Maid Services Malaysia Has To Offer! Maid Agency in Malaysia is the market leader in maid services Puchong, providing the finest domestic helper in Malaysia and abroad. We are committed to providing our clients with the most trustworthy, reliable domestic helper that has a proven track record in looking after homes. 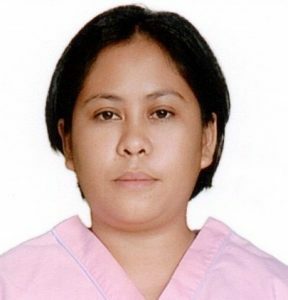 The skilled domestic helpers (maids) at maid agency Puchong have been thoroughly screened and vetted before they are allowed to be placed in your homes to assist you in building a healthy and happy home. 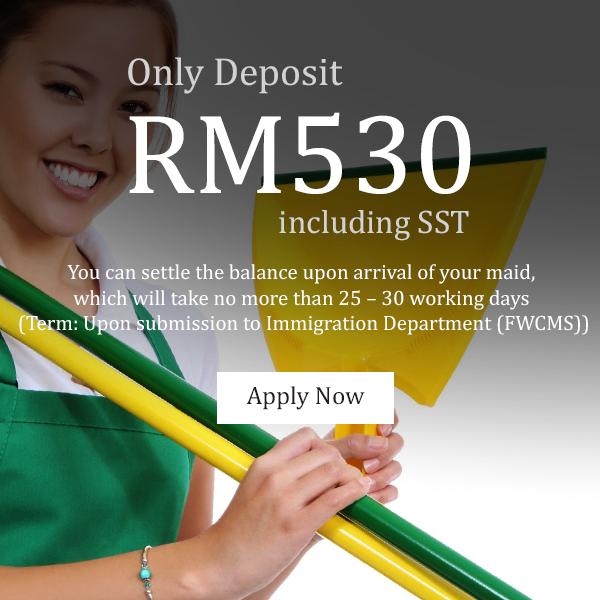 The domestic helper that we provide can perform exceptional maid services Malaysia has to offer. If you are in need of a nanny, caregiver or a housemaid, Maid Agency in Malaysia can provide you well trained domestic helper at most affordable rates. 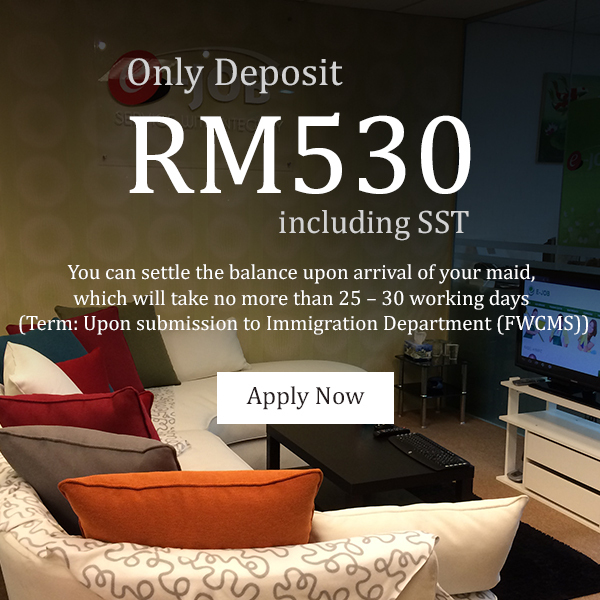 We are the only Maid Agency in Malaysia that collects RM530.00 including SST Deposit. 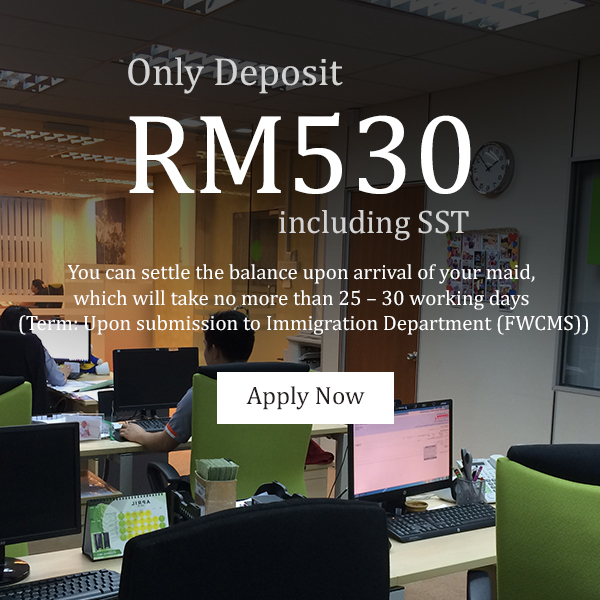 The balance can be settled upon the arrival of your maid within 25 – 30 working days (Term: Upon submission to Immigration Department (FWCMS)). We focus on providing our clients with efficient, skilled and performance driven domestic helper that can look after their home needs and deliver quality services. 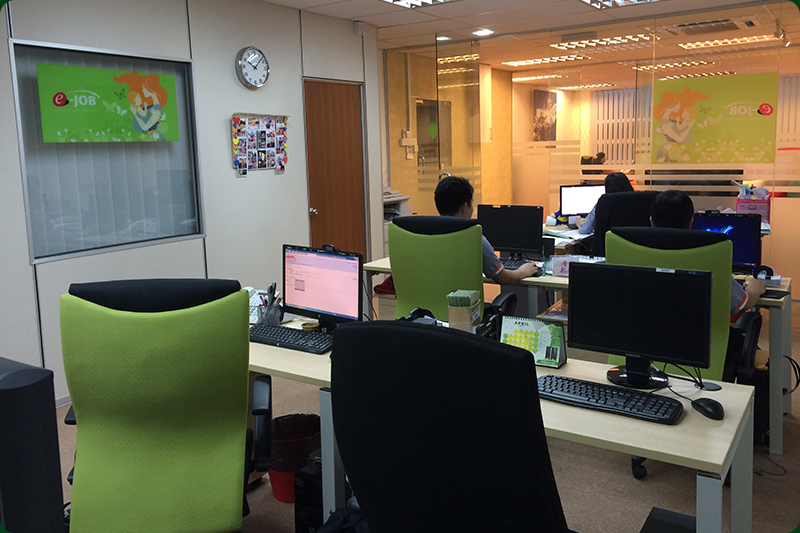 What Makes Maid Agency In Malaysia Different From Its Competitors? 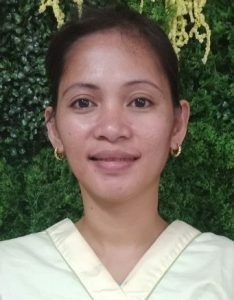 Maid Agency in Malaysia has become one of the leading employment agencies in Malaysia, providing skilled and reliable Filipino maids that employers / clients can personally interview before hiring. All our Filipino helpers and maid are well trained. 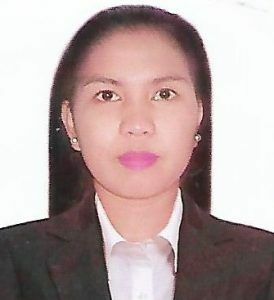 They are strictly required to attend the Household Training Centre (TESDA NCII) in Philippines. TESDA is fully equipped to train Filipino maids and provide them the best training possible for their future employment. 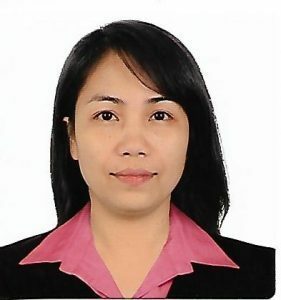 If you are looking for exceptional maid services Malaysia has the best domestic helper to offer. At Maid Agency in Malaysia we have a very experienced team of recruitment and training personnel that ensure our domestic helpers and maids acquire sufficient knowledge and skills in professionally managing household chores no matter in which country they are. All our domestic helpers are provided a 15 day in the training and later awarded a TSDA NCII Certificate on completion. Whatever your needs or preferences for maids, our maid agency in Malaysia is fully equipped to provide you with the services that fit your needs.